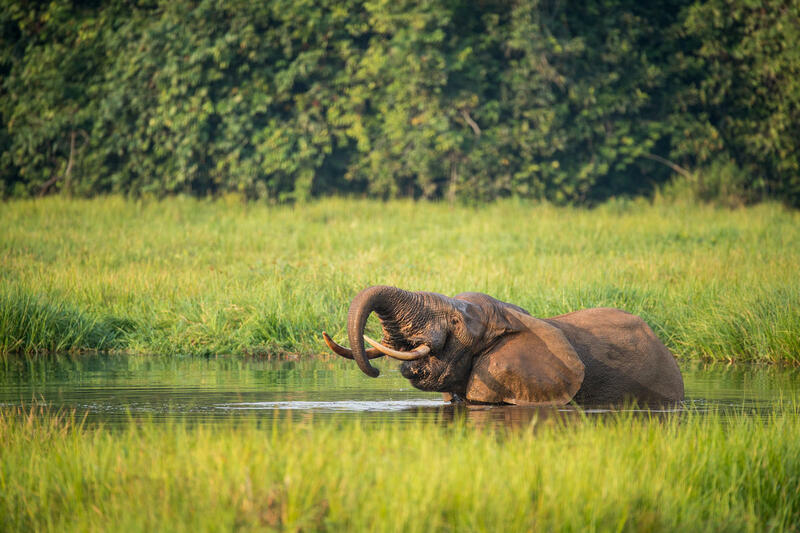 In the Republic of Congo, four poachers responsible for killing elephants along the edge of Nouabale-Ndoki National Park have been sentenced to five years in prison (the maximum penalty) and fined $10,000. They were arrested last fall after setting off alarms among several park research camps and a local community. In the process, they managed to kill four elephants. Leonard Beckou, the gang leader, is a repeat wildlife crime offender, having been arrested in both 2015 and 2016. These latest poaching raids were conducted close to local villages, sparking fear and highlighting the negative impact of elephant poaching and the ivory trade not only on elephants, but also on people. The group was arrested during a late-night raid of their camp, part of a joint operation between park rangers, the local Congolese Armed Forces, and police. This case demonstrates the changing threats that the area's wildlife, and the people working to protect it, are facing. Poaching gangs have become more organized, better connected, and transboundary in nature. As the pace and proficiency of their operations shows no sign of abating, the importance of ongoing investment in the park's protection is essential.